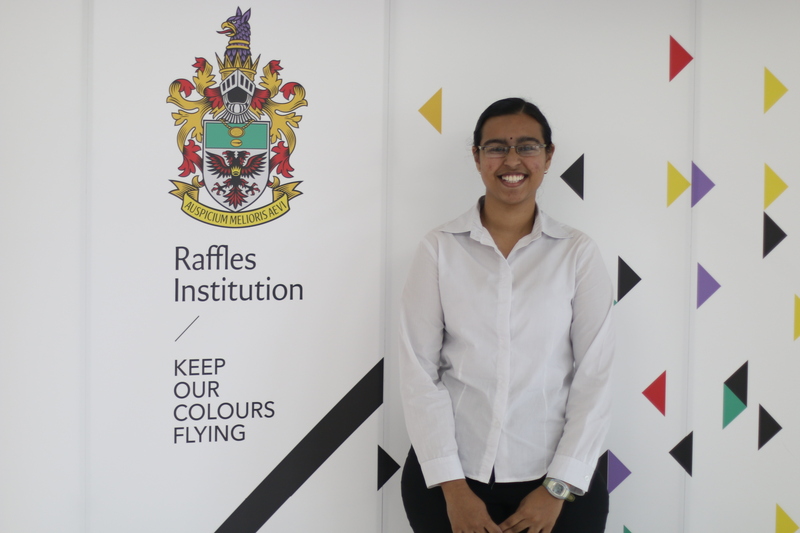 The second part of our Student Feature takes a look at Rafflesians who’ve looked beyond the edifice of Raffles to serve the larger community. Many of us want to give back to our communities, and Rachel Koh Qi Qian (15SO7C), shows us exactly how one student can play their part. As a member of the Interact Club as well as the ISLE enrichment programme, she was inspired since Secondary 2 in RGS to serve the community, and professed her ‘passion for service’. Rachel found JC life to be very academically driven. 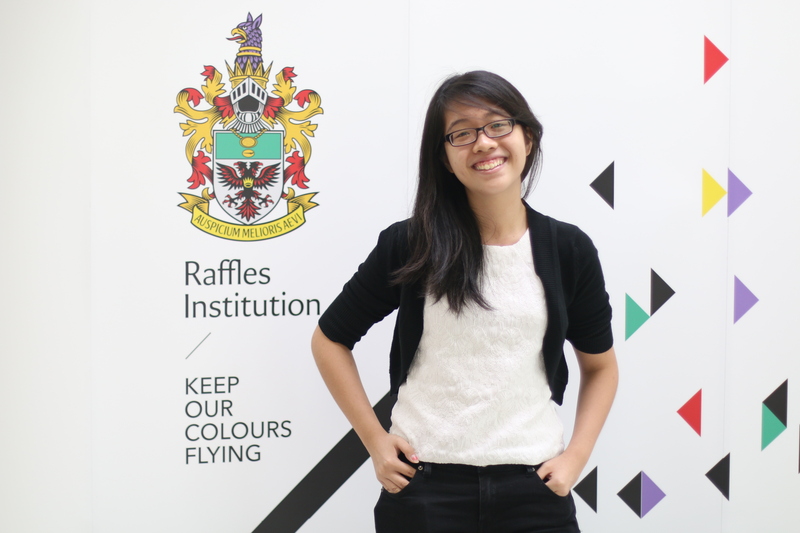 In order to make it more meaningful, she believed in dedicating her free time to the community around her and making use of the opportunities and resources available in Raffles. For example, the school provided grants for her project, for which Rachel was very grateful. 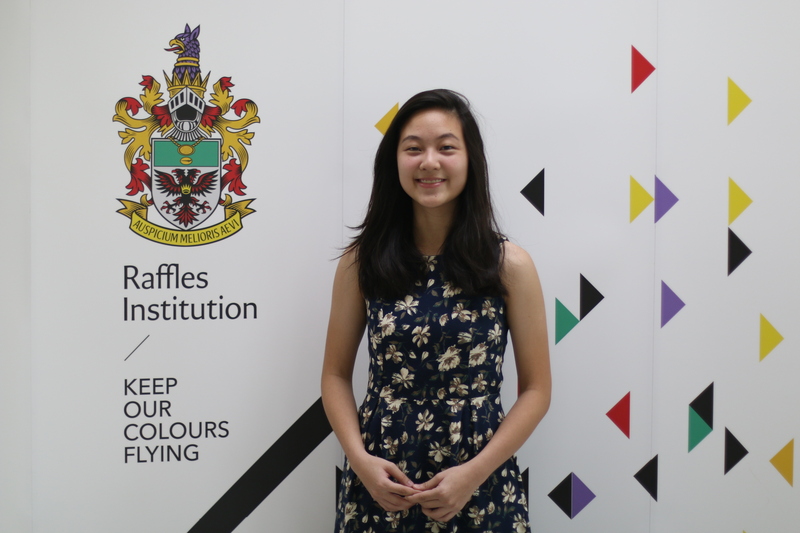 Now that she’s moved on from Raffles, Rachel faces the challenge of continuing and improving her project without the school’s assistance. Never one to be discouraged, she intends to shift her project’s focus to helping some of the elderly living in rental flats, so as to improve their living conditions. In terms of her academic life, Rachel found that there were three major pillars of support which she valued: her parents, teachers and classmates. She emphasised the support of her class, as the sense of camaraderie amongst them during the difficult A level period was vital to helping her through her stress. She mentioned that her best friend was a major source as support, and stressed the importance of having a study group and strong friendships to fall back on. JC life may have a strong focus on studying, but another crucial part of it is for her was in making friends and the experiences they shared. Rachel hopes that others will “grab hold of the opportunities out there, not to let the results define them, and to pursue their passions.” For the future, she hopes to adopt a flexible mindset and seek the path that life leads her on. Besides being involved in the Ecological Literacy enrichment programme (EcoLit), Kavya Sivakumar (15S03O) was part of two CCAs that she was deeply passionate about, the Biology Society and Guitar. Though she professed that her time in RI was not the most exciting, Kavya felt that she “got to try out a lot of new stuff which gave me a broader perspective of what it feels like to grow up”. For EcoLit, Kavya shared that she found meaning in her time in the programme. For her book writing project, some of her friends and her went down to Labrador Park and wrote a story about a little girl going through the park and finding different pieces of maps in an effort to reach out to the younger generation. In the future, Kavya wishes to study medicine since Biology was her favourite subject in school. She enjoys reading and learning about biology, appreciating how “everything about the human body was very fascinating”. Adding on to her interest in biology is the ‘human touch’ in medicine, and the ability to personally impact someone’s life. Her advice to juniors would be to try out something new and ensure that “your life doesn’t revolve around academics”. Kavya also encouraged us juniors to find out where our passion lie and academics-wise, she quips: ‘Just pay attention in class… and don’t sleep in lectures”. Ailica (15S03E) found her passion in serving the community, the environment, and in Geography. Her diverse interests led her to pursue Girl Guides, Interact Club, Habitat for Humanity, and to continue on with the Future Problem Solving Programme she was first exposed to in Secondary 1. In her stints of community service at the hospice, prison service, and Meet-the-People’s Session, she came to realise that service cannot always be viewed through rose-tinted glasses. In reality, it did not always amount to ‘a warm and fuzzy feeling’, given the amount of work and dedication it required. The real challenge, therefore, lay in sustaining her passion to serve. This caused her to take an occasional step back, to pause and reflect. She also found that having teammates who were equally passionate about a cause helped to spur her on. Ailica understands that to many, ‘the first step into service may always the hardest.’ However, once students establish a regular schedule for service, following through with it would be much easier. Hence, she managed to overcome her initial reservations by capitalising on ‘sudden bursts (of passion)’ to find an organisation to work with and dedicated, like-minded friends who became a trusty source of support for her. Regarding her future plans, she hopes to give back to the community, by going into public service, in particular, the Ministry of Home Affairs (MHA) or the Ministry of National Development (MND). When asked if she had any advice for her juniors, she purported that as long as they focus on one thing at a time, and give it 100% of their attention, they will be able to find meaning in the things you do and eventually discover their passions. Like many Rafflesians who take up countless commitments, she had to make trade-offs in balancing them all, in terms of sleep and personal time. Still, she feels that these sacrifices were worth it and has no regrets. All that said, she would like to thank her parents. Amidst her numerous commitments, they were ‘always there for her’, to provide for her basic and emotional needs, and such unconditional displays of love were pivotal to maintaining her morale. She recognises that unfortunately, ‘we don’t show gratitude to (our families) often enough.’ She is also grateful for her friends, who have given her much support, and her teachers, who ‘went beyond academics’ to show concern for their individual development and struggles. While the JC period is definitely more trying as compared to her secondary school experience, Ailica firmly believes that ‘if we push ourselves hard enough, when we look back at our JC experience, we will indubitably feel fulfilled. 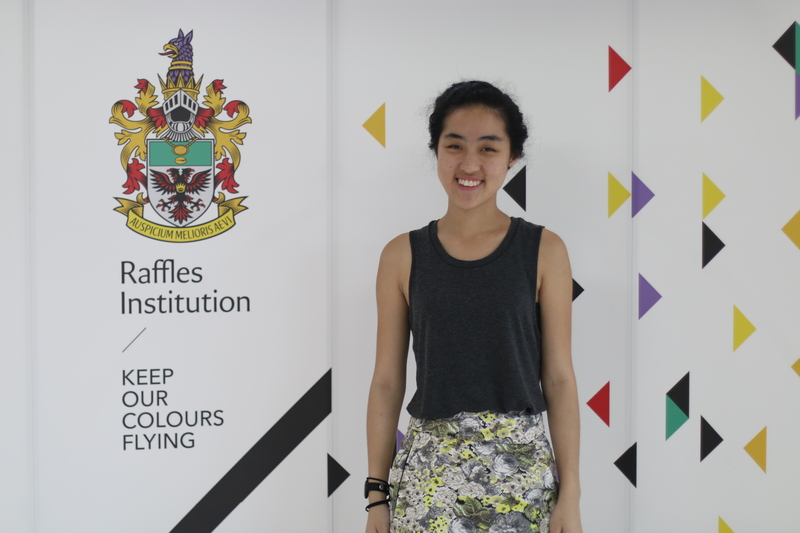 For Shermaine Ng, service was something especially meaningful in Raffles. Starting her volunteering journey in Year 1-4 at Clementi Family service centres, Shermaine went on to organize a workshop called ‘Imagining Possibilities’ for primary school students to cultivate empathy and emotional awareness in younger students. For her personally, that workshop reflects what volunteering is to her- about empathy, and the importance of trying to put other people’s intentions before your own and understanding others so that you can communicate better and understand each other better. Shermaine also would like to thank for her family for their unconditional support in helping her and her Chemistry teacher Mr Lincoln Quek especially for always being willing to offer her consultations to help her out when she faced difficulties in Chemistry. Currently Shermaine is interning at Raffles Hospital and intending to pursue a course in Occupational Therapy in university.